Officially, Trump is promised 37 pledged delegates from Missouri, while Cruz captured 15. But if Trump fails to capture the 1,237 delegate votes he’ll need nationwide to win the GOP nomination on that first round, he likely can’t count on Onder to stick with him. All committed delegates become uncommitted after that first round of voting. And Onder is likely to switch to Cruz. Republican state Sen. Bob Onder and GOP party chair John Hancock talk about delegate selection. Onder is part of a 2nd District delegate slate dubbed "Courageous Conservatives." He won't say if others on the slate also are Cruz backers. Onder’s plans aren’t unusual. In fact, much to Trump’s ire, a number of Cruz allies in other states already have won spots as Trump delegates. 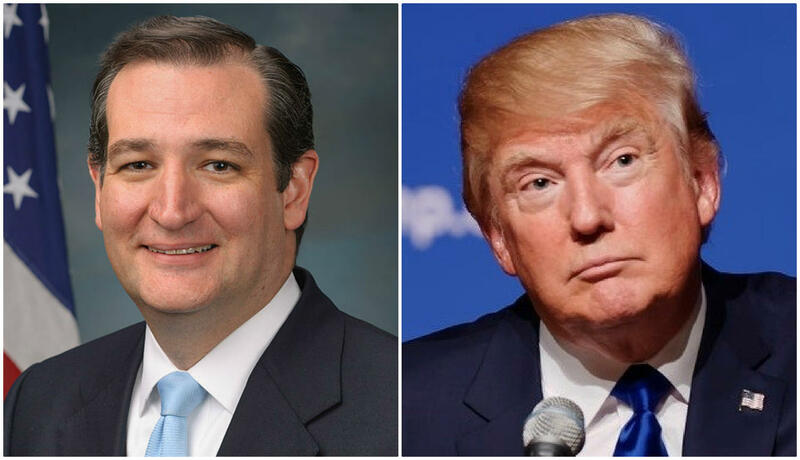 Their ultimate aim is to make Cruz the nominee, should Trump fall short on that crucial first ballot. The battle between supporters of Ted Cruz, left, and Donald Trump for Missouri's Republican delegates is not over. John Hancock, Missouri Republican Party chairman, is uncommitted. But he is matter-of-fact about what could happen during his party’s eight congressional-district conventions set for Saturday. A large chunk of the presidential delegates will be chosen that those conventions; the final bloc will be picked at the state convention May 21 in Branson. The delegates will be chosen by party activists selected at local caucuses held earlier this month. The two GOP congressional conventions in the St. Louis area will begin at 10 a.m. Saturday at Maplewood-Richmond Heights (1st District) and Parkway West (2nd District) high schools. Missouri Democrats will be holding their congressional conventions Thursday night to choose many of the delegates to the Democrats’ presidential convention this summer in Philadelphia. The bulk of the committed delegates will be chosen Thursday night, with the remainder selected at the party’s state convention slated for June 18 in Sedalia, Mo. The St. Louis area conventions will be held at the University of Missouri-St. Louis (1st District) and Parkway South high school (2nd District). Hillary Clinton barely edged out Bernie Sanders in the state’s primary. So the breakdown of committed Missouri delegates is 39 for Clinton and 38 for Sanders. An additional 7 delegates are superdelegates — major elected officials and a few others —who can back who they wish; all are believed to support Clinton. Democratic leaders aren’t saying much about their expectations. But since Clinton has the support of most of them, activists expect most of the people chosen as committed Clinton delegates to be actual Clinton allies who would stick with her after the first ballot. No word if the same is expected of those filling the pro-Sanders slots. In a statement, a party spokeswoman said, "The Missouri Democratic Party is committed to sending an inclusive and energetic delegation to Philadelphia this summer to experience the once-in-a-lifetime event of nominating the next president of the United States." True to national predictions, Missouri’s presidential primaries ended up being Tuesday night’s nail-biters, with no clear winner declared as of dawn. Although Democrat Bernie Sanders led the vote tallies most of the night, the late returns from the city of St. Louis and St. Louis County put Hillary Clinton on top – by just over 1,500 votes. Republican Donald Trump appears to have defeated rival Ted Cruz by less than 1,800 votes, but the results aren't conclusive.